The main thing to know before attempting this question is that the perpendicular bisector of a chord always passes through the centre of the circle. From this principle we can attempt to solve the question. 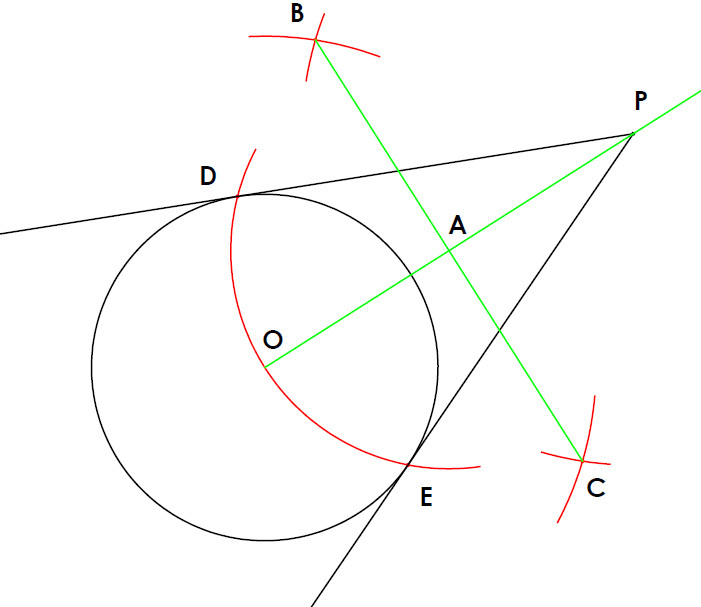 Where the perpendicular bisector, bisect line OP gives us point A. Take the radius AO and swing from point A. 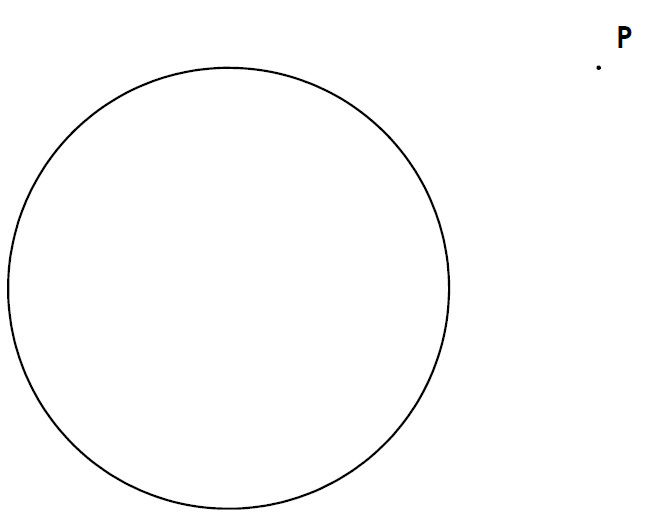 This circle will intersect the circle you were given at the start in two places. These two points are points of contact. Join point P through these two points to create two tangents. Any point outside a circle will always have two possible tangents to that circle. Move the centre point of the circle to change the position of the centre point of the circle. Notice how you always have two tangents to the circle from point P until you place the point P on the circle or inside it.